This example shows, how to automatically backup a folder on your local harddrive to a removable (e.g. 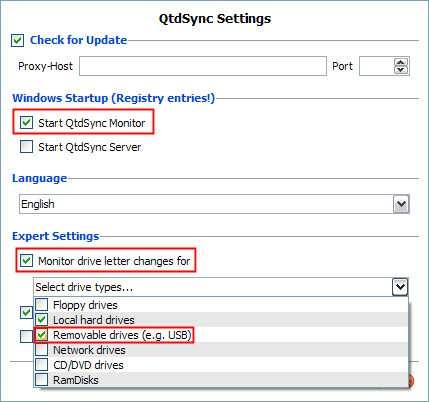 USB) harddrive each time you plug it in. 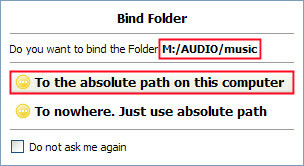 with the recent changes made in our local folder. 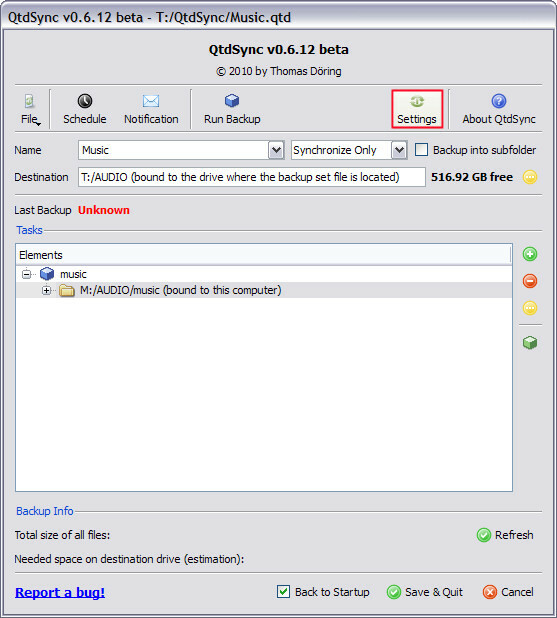 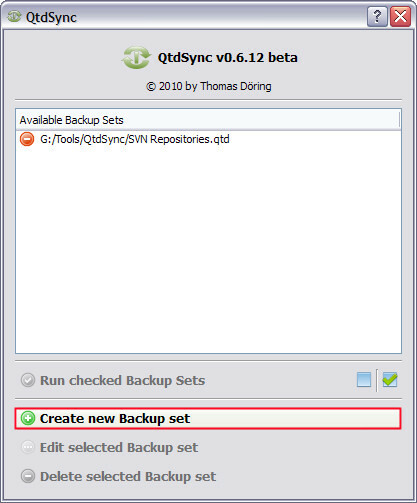 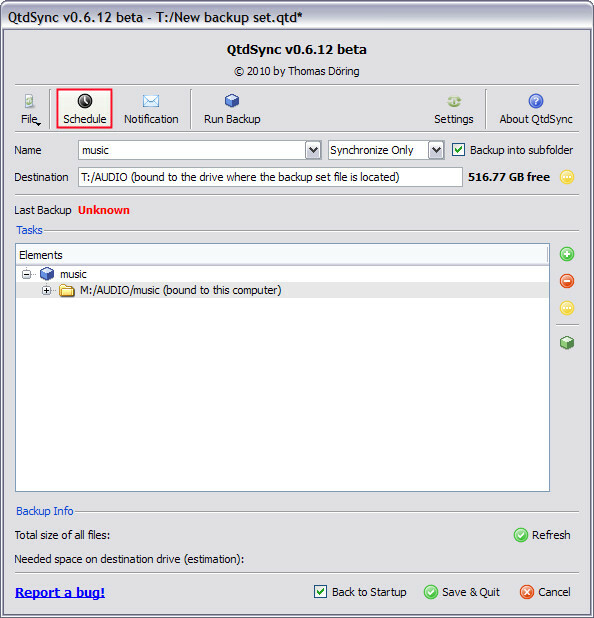 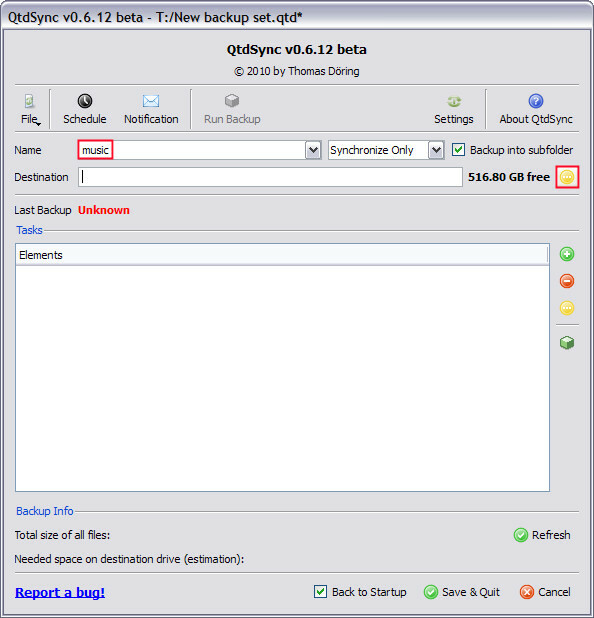 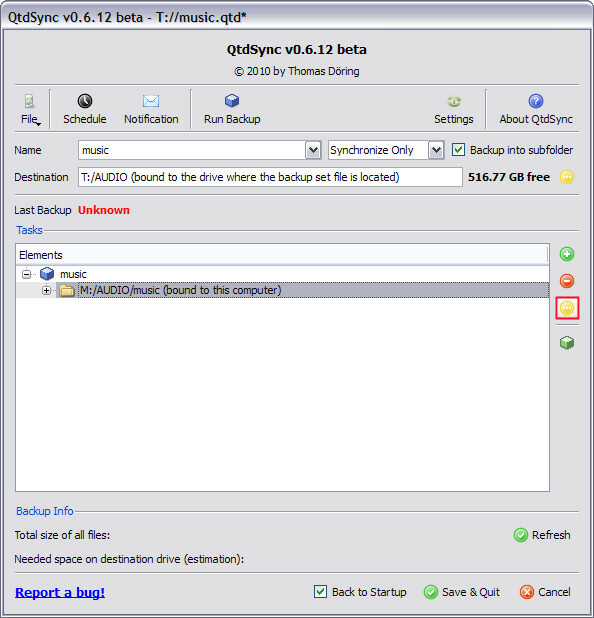 Start QtdSync and create a new Backup set. 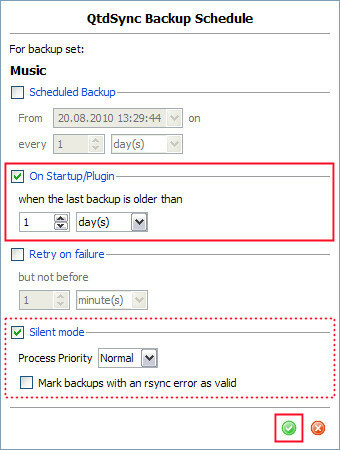 When you are asked to save your backup set, save it on your USB hard drive!. 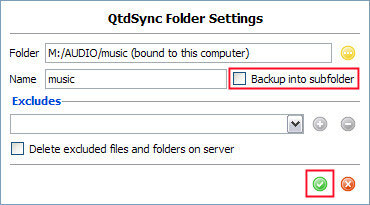 Usually the following steps are not necessary, since these settings are default. 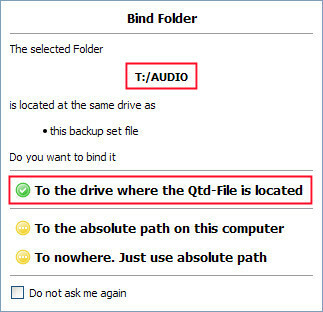 But just to be sure please check them.